Georgia’s Board of Regents met on Valentine’s Day, approving several new programs for University System institutions — including Tech — and receiving the breaking news of a new appointment. Tech had relatively few items on the agenda. The first proposal, which established a program for a Bachelor of Science in Neuroscience, cited similar programs at Georgia State University and Emory, suggesting that Tech’s adeptness at creating interdisciplinary programs would allow the program to be both successful and unique. The program as proposed would utilize existing and renovated space already available at Tech, as well as lab space to be renovated and reconfigured during a $4.5 million renovation of the Boggs Building which was approved last month. The proposal was approved the the Board. Other Tech-related items included the establishment of a James A. Carlos Family Chair for Pediatric Technology and a Patsy and Alan Dorris Chair in Pediatric Technology, both of which would be supported in part by Children’s Healthcare of Atlanta. Several new structures on the grounds of the Noonan Golf Facility will be named after various donors and Tech golf alums, including Lisa and Stewart Cink. The Regents also approved a new wave of consolidations, this time affecting four institutions in south Georgia. Georgia Southern University in Statesboro will be expanded via a merger with Armstrong State University in Savannah, with both institutions operate in their current locations but under the shared Georgia Southern name. This new institution will surpass the enrollment at Tech, with approximately 27,000 students to Tech’s 26,841. Furthermore, Bainbridge State College will merge with Abraham Baldwin Agricultural College and take its name. 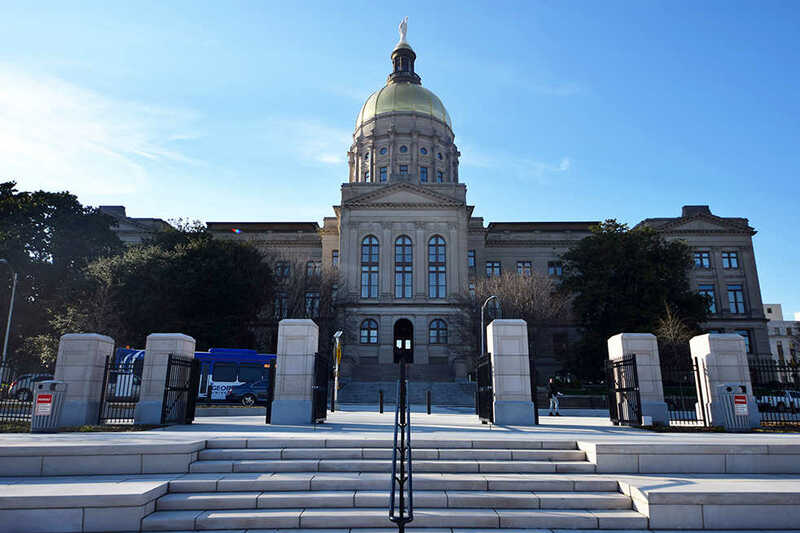 It was also announced on Feb. 14 that Governor Nathan Deal was appointing Sarah-Elizabeth Reed, wife of Mayor Kasim Reed of Atlanta, to the Board of Regents. She will join Laura Marsh and Doreen Stiles Poitevint as the three women on the 19-person board. Members are appointed for seven-year terms and may be reappointed by subsequent governors.